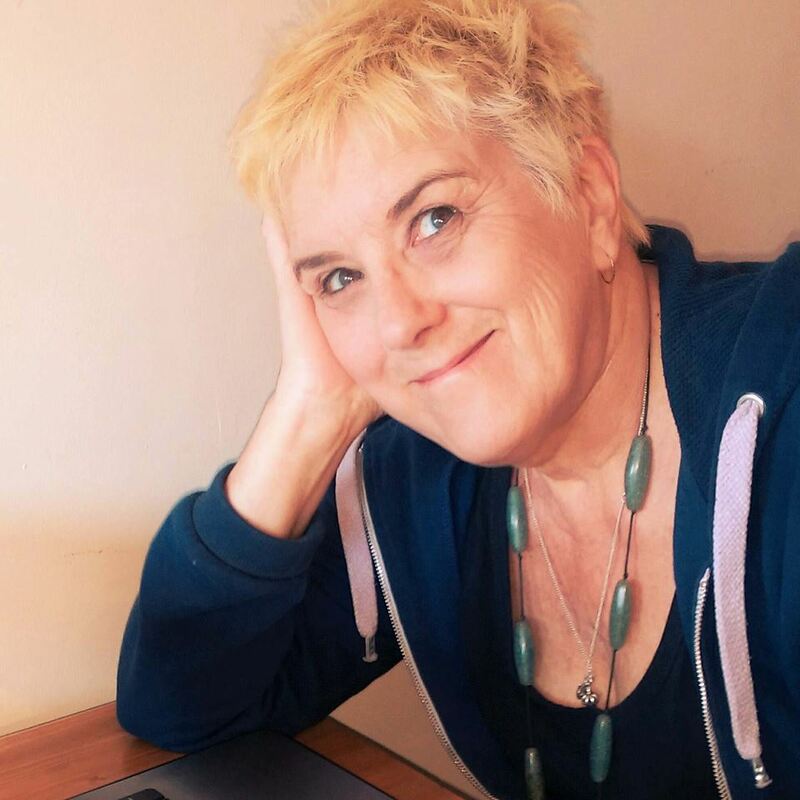 Anna Meryt is a member of Greenacre Writers 'Finish That Novel' group. She has published two collections of poetry, Dolly Mix: A Take Your Pick Poetry Collection poetry and Heartbroke described as a collection "...to inspire hope through experience and identification...Meryt does her motivation proud with titles like 'Hurling Bricks', 'A Shell Explodes' and 'Give Me A Break'." 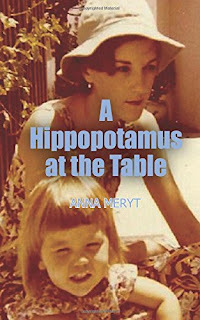 Anna has had numerous poems published in magazines and anthologies and is part of Highgate Poets. In 2011 she won 1st prize in the Lupus International Poetry Competition with her poem ‘Bulawayo’ which is about her birth place. Anna has published her memoir, A Hippopotamus at the Table, the story of a journey to a new life in Cape Town, South Africa in 1975. We hope you can join Anna at the Finchley Literary Festival. I was a sporadic poet, but nothing I ever showed anyone. My ex-husband was an actor/writer and I never thought I’d match up to him. We moved to South Africa in the 1970s really because we both had African connections from childhood. When we came back I missed it so badly, so much had happened there, I wanted to write the story. One day, I was sick in bed and started to write it all. It took 20 years of writers groups, workshops, an MA before I could think about it being published. Meanwhile I was getting poems published, every time I sent one off, in a variety of anthologies. Eventually I produced two poetry collections and I was given a big push to finish my book by one of my daughters – she got me a TV interview for an online news channel she worked for. I realised I had to have a book in my hand for the interview. I’ve had an interesting life. The South African story was an important one to tell as not much has been written about living with apartheid from a white observer’s perspective. But I have more stories to tell about things in my life that happened, things people might find hard to believe that have happened to me. I’ve started writing my next memoir, getting good feedback from the Greenacre Writers group I’m in. The problem is that everyone else in the group writes fiction and although there are aspects of memoir that cross over with fiction writing, it really is such a different medium. I do see myself as chiefly a memoir writer, although I also write articles for my blog and sometimes a short story. Stephen King says ‘If you intend to write as truthfully as you can, your days as a member of polite society are numbered, anyway.’ He’s talking about fiction writing, but it is particularly true for writers of memoir. I love being able to put myself back into a different part of my life from the past and immerse myself, recreate what happened, bring the story to life. Essentially I just like telling the story I think. As a memoir writer, I don’t ‘create’ any characters. In my life and work (I used to be in Criminal Justice) I never met anyone I couldn’t empathise with, I’ve always had an ability to strongly empathise with anyone. I had to teach myself to maintain a boundary between me and others. I cannot hear about someone’s life without seeing the suffering underneath and empathising –that has shaped my experiences and probably the stories I have to tell. There’s only been one person whom I had to deal with in Indonesia who I felt had made choices in his life which led to him slipping over into evil. Once I realised who he really was I cut myself off from him, even though it meant not achieving a very important goal at the time. I’ve known, through my work, plenty of people who’ve done bad things, including committing murder. Somehow though I always saw their deeds or actions as separate from who they were as human beings. This is bound to be reflected in my writing. Last year, GW organised #diverseauthorday. What has been your experience of writing about diverse characters? My memoir was set in South Africa under apartheid so there’s a considerable focus on the racial differences and the way different groups were treated there. I think white people are often very nervous of talking about racial issues and diversity because they’re so afraid (rightly so) of saying the wrong thing due to their lack of knowledge or experience. I have mixed so widely amongst black and mixed race Africans (plus two African partners and current partner is Afro-Caribbean) and also because I have this facility for talking to any person as one human being to another, I don’t have such a fear response about dealing with the topic head on. I’ve also, both in family and Criminal justice contexts had lots of experience of all kinds of personality disorders and mental health problems, so I can write about all these issues with some knowledge and experience and empathy. In my memoir, For example, I wrote about a black hunchback friend of mine plus another dear friend who was (he’s dead now) a brilliant poet but also schizophrenic. All my best places for writing have been warm and sunny with a view of the ocean. The sound and the smell of the sea – usually sitting in a comfy chair in a café – staring out an open window at the sea. But once I go into writing mode, my surroundings fade out and I hear and see nothing around me for hours sometimes. Some people like total silence and being alone to write in. Not me, I like a quiet hum of voices (like in a café) or lots of people around like in a library. I don’t like silence and aloneness, I came from a big family, I like people and sounds (not too loud) and a comfy chair and my laptop. A specific place would be Cape Town, the most beautiful city in the world. Well several authors write so beautifully that as I read I feel envy, I feel totally inadequate beside their beautiful prose. Firstly Dylan Thomas will always be my absolute poetry hero, Secondly for prose fiction that brings characters to life in an almost magical way – Hilary Mantel’s Wolf Hall and then Ryzard Kapucinski who writes such beautiful travel memoirs of Africa in the 1960s. Read, read, read and learn your craft. Keep true to your own voice, listen to it and your own drive to write. People will tell you a heap of crap about your writing. They are often putting their own projections onto you and can often BE WRONG about your writing. I think you’re best getting feedback from people who can be neutral and unsubjective – NOT friends and mostly not family either. My next memoir starts off in London, then shifts to Indonesia and finally back to London. It’s about getting someone out of an Indonesian police cell, overrun with cockroaches and rats. .It’s about all that that took including bribery with large sums of money and dealing with someone evil, but also finding the wonderful goodness in unexpected people. I always liked George – the tomboy in the Famous Five adventures. Because she didn’t have to behave like some cissy girl. She could be herself.